A hot tub is a relaxing place to have your stresses of the day melt away. You would never want your spa water to become murky or your spa itself to become neglected. Your spa needs to be drained and filled every three to four months. Since spring is the season for cleaning, why not give your spa a little extra attention? 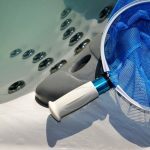 Follow these steps to spring clean your hot tub, so it will be ready next time you get the urge to jump right in. 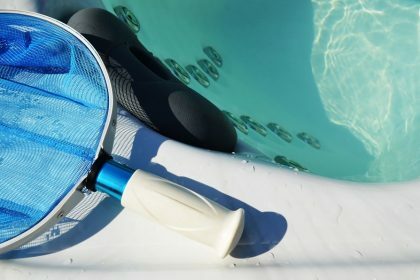 Before spring cleaning your hot tub, you should disconnect all sources of power to it. Turn off your spa at its control panel, unplug it, and turn off the circuit breaker. This prevents any risk of shocking yourself. Safety first! The water in your spa must go somewhere. While cleaning your hot tub, the first step is emptying it. Remove the drain cap, and attach a hose to the drain to ensure the water is heading to an area that is safe. Draining may take quite a while depending on the size of your spa, but after it has completely drained, remove the hose and reattach the drain cap. Washing the skirt of the hot tub, or cabinet, is a simple process. Take a towel and soap and wipe down the sides to make it look clean and maintained. Be careful not to use a high-pressure stream or spray of water, such as from your garden hose, on your spa’s cabinet. Doing so could possibly cause an electrical short when your tub is turned back on later. The next step is cleaning your spa’s interior or shell. Always select a cleaning solution that is non-sudsing and nonabrasive. After you have completed washing your spa’s shell, rinse it as thoroughly as possible and drain your spa again. Every filter is different. Before cleaning yours, consult your owner’s manual for proper guidance. Remove your spa’s filter, clean it thoroughly, and replace it. The best time to refill your hot tub is following the filter replacement. After the filter is seated correctly, place a hose into the filter bucket and begin to fill the spa. The level of the water in the tub should be high enough to cover all jets but low enough where it does not touch any headrest. Removing your spa’s headrests, or pillows, now is essential to ensuring they do not get damaged in the next step. Remove the pillows and clean them using a cloth and soapy water. Inspect the pillows for damage and if necessary, replace them with new ones. You’re almost to the end. The next step is to measure and administer your spa’s chemicals, and test the water. 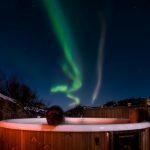 Your hot tub should always maintain a sanitizer reading that is stable and constant. The last step of your spring cleaning is the cover of your spa. Spraying water from a hose is the best way to do a first clean to remove dirt and dust. Next, scrub the cover with a brush and soap. Finally, inspect the top to check for rips. If you have any questions while cleaning and maintaining your spa, contact us. Our friendly and knowledgeable staff is always available to answer questions. 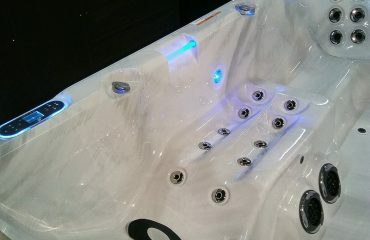 And should your spa need it, we also provide spa service and repair. All servicing is done in-house personally—we never use contractors. Blue Lagoon Spas is here to help.